Well, i gave it to you, but i never said i was done with this! i will be doing much more to this sight, as well as my other ones too! Don't worry though, my updates wont disturb you at all! Here it si at long last! the eva site that blows all but 2 eva sites away is here! this is the big shabang folks, this site will be a masterpiece! 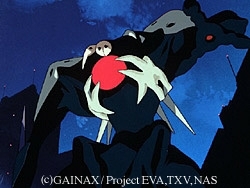 if you dont know squat about eva, when u leave you'll know more tham some people who have seen the entire series! no lie! 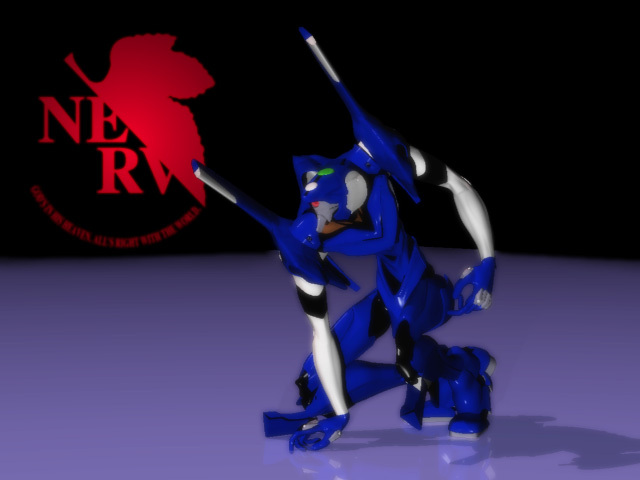 i'll reveal the sevret behind Rei, the past of Asuka, the real truth about Evanglion unit 1, the angels, the evas, the characters, everything is here, the eyecandy of all eyecandy is here, and it eminates Neon-Genesis Evangelion! Now you can go on to the rest, theres tons of pics, character bios, etc. clikc here to play "Cruel Angel's Thesis"! The third angel (first in the series), sashiel, as it walks toward Japan 3.